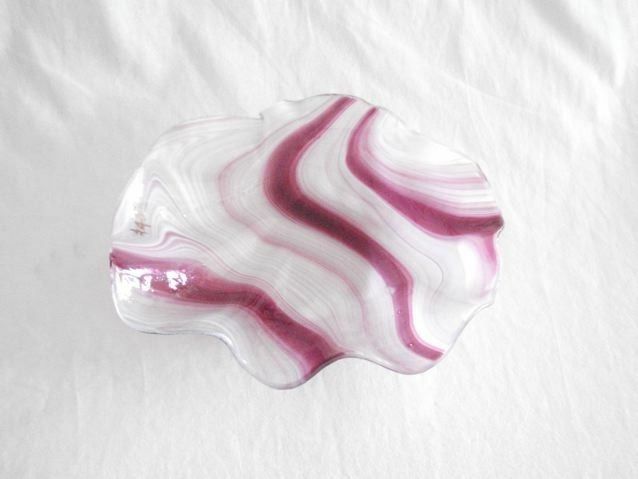 This Pink Clamshell Bowl mimics the natural beauty of clamshell and imparts it with a dreamy quality , as if you were peering at it through gently rippling clear waters on a sunny day at the beach. 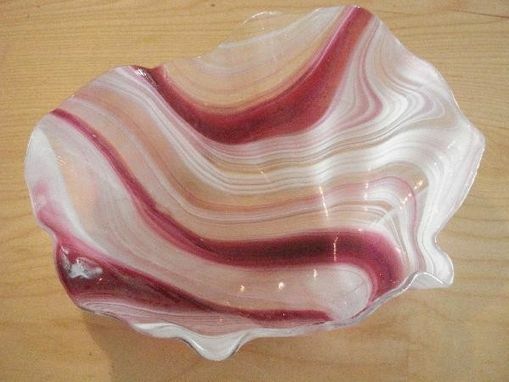 Clear glass is stained to give it its distinctive striping, fired once to round the vessel, and fired again to give it a concave shape and wavy edges. It's durable too, although handwashing is recommended for this 12'' x 10'' glassware.